Springboro Schools is proud to announce and welcome Brooke Coulter as the new Springboro Intermediate (SI) Principal. 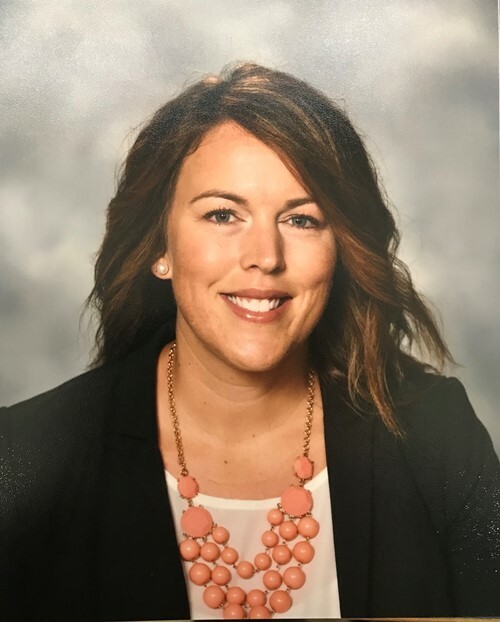 Coulter, the current Assistant Principal at Springboro Junior High School (SJHS), will oversee Springboro Intermediate, the 6th grade building within Springboro Schools. Springboro Intermediate Co-Principals Ron Malone and Bob Thompson will remain in their position through the remainder of the 2018-2019 school year, as Coulter transitions into the Principal role at SI by spending one day a week working with students and staff at SI, as well as 5th grade students at Dennis and Five Points Elementary. Coulter, whose contract as Principal of SI will begin in August 2019, has been the Assistant Principal of Springboro Junior High School, serving 7th and 8th grade students, since 2013. There, Coulter conducted evaluations of both certified and classified staff, created the building master schedule, reviewed the building’s Individualized Education Programs (IEP), and served as a member of the district and building Safety Committee. Coulter also serves as a member of the district’s Leadership Academy. Before joining Springboro Schools, Coulter served as a teacher of Science/Social Studies with the Lakota Local School District from 2008-2013. In addition, Coulter served as a Science/Social Studies teacher for grades 5th-9th with Madison Local School District in Middletown, Ohio. Coulter has also spent time as a 7th grade Girls’ Basketball Coach at both Madison Local and Lakota. Coulter received her Bachelor’s in Science of Allied Professions, with a focus on Middle School Education, as well as her Master’s Degree in Educational Leadership from Miami University in Oxford, Ohio. Coulter also holds her Principal’s License for grades 4th-9th and 5th-12th. “I am honored to be selected as the Principal of Springboro Intermediate. I look forward to bringing my fifteen years of experience and dedication to the position of Principal at SI. My passion to foster a TEAM (Together Everyone Achieves More) atmosphere for the staff and students will be evident,” said Coulter.